A super simple, quick and easy sweet treat that combines creamy white chocolate with a buttery cinnamon sugar swirl reminiscent of a cinnamon roll! In the food blog world, autumn is all about apples, pumpkins, spice cakes, caramel and candy corn. 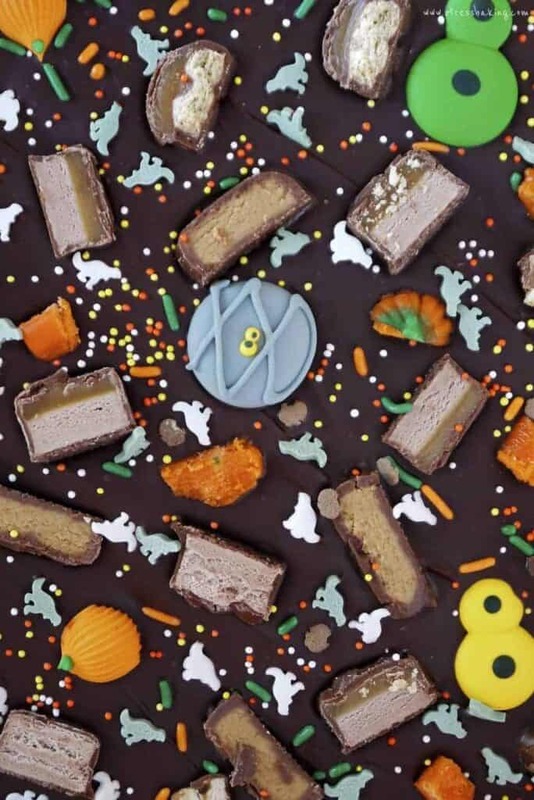 There are adorable edible monsters for Halloween and turkey shaped cookies for Thanksgiving. Meanwhile, I’m over here craving all things cinnamon sugar. Give me all of the cinnamon rolls and snickerdoodles you can find. 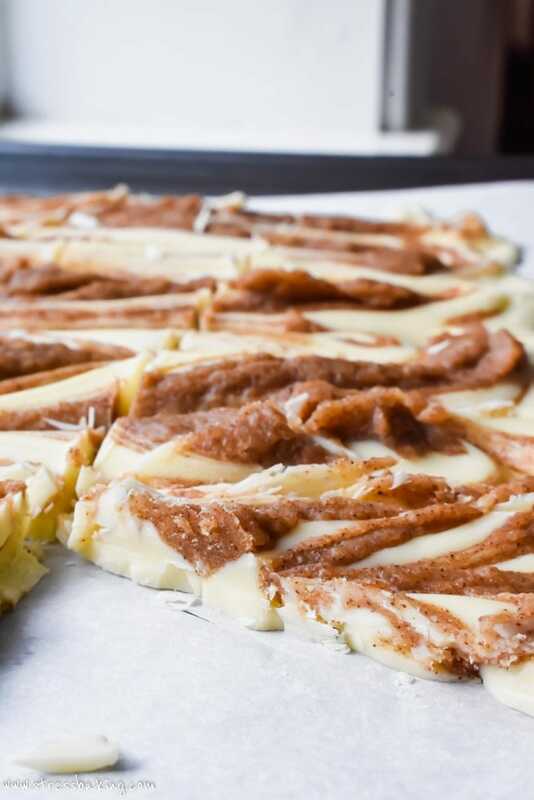 And while I’m waiting for you to collect those and deliver them ASAP, I’m going to chomp on this white chocolate cinnamon roll bark. 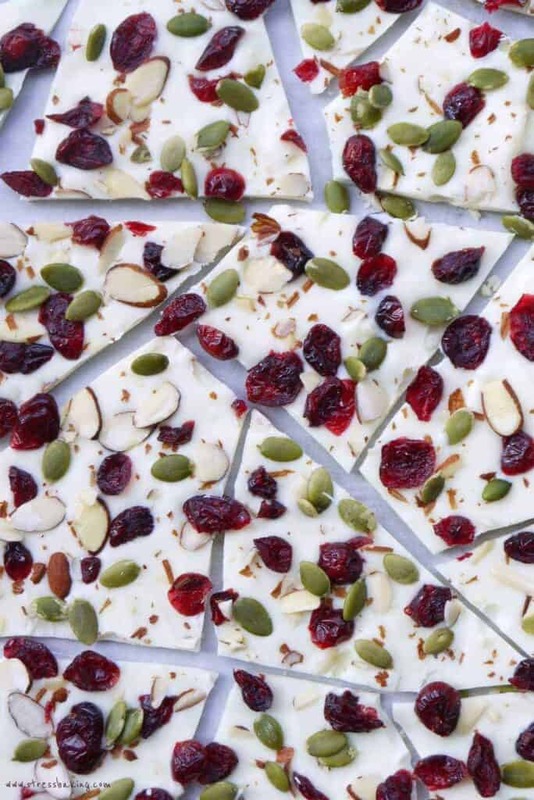 Here’s the thing about this bark: it’s ridiculously easy. You melt some butter and add brown sugar and cinnamon, melt some white chocolate, and then spread it out and swiiiiiiiiiirl. It’s a good time. Then you just pop it in the freezer and let it set. It won’t become 100% hard like most bark because the cinnamon sugar swirls won’t fully harden, but that’s exactly what I wanted. Most bark is snappy and crunchy (like my Christmas Crack), but your teeth will melt right into this one giving you a creamy and sweet treat. Since this has cinnamon in it, I guess I could try to spin it as a fall recipe, right? Apple pie has apples covered in cinnamon and sugar inside, and this has cinnamon and sugar in it… so… totally works. Yep, this is now a fall recipe. 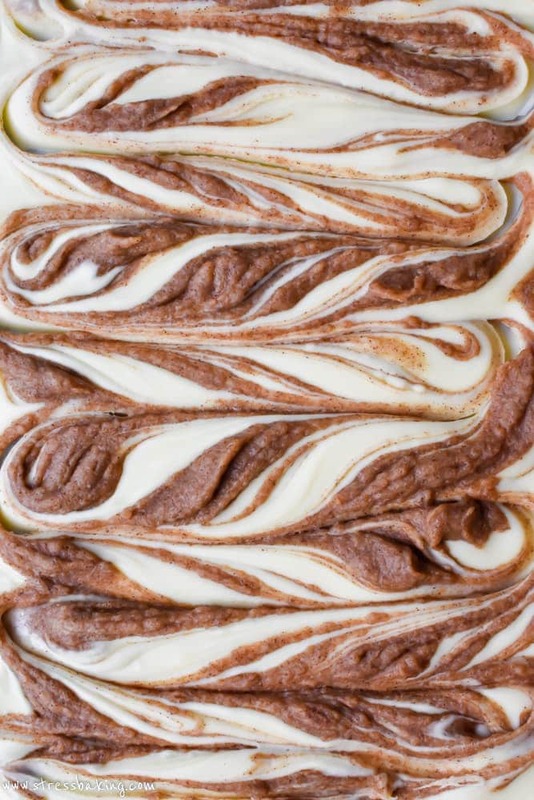 Side note: are you as mesmerized by the swirls as I am? I kinda can’t look away. It’s a special kind of food art. As with any bark, you can take a big knife or pizza cutter (love love love this one) and roughly cut it into big pieces. You’ll find that they’ll inevitably break in random places, which gives it the perfect imperfection that I love so much about bark. Speaking of stuff I love, have you been to my Amazon Influencer Shop page? It’s a collection of all my favorite products that I use and recommend. So often I get questions about what kind of mixer I have, or what kind of silicon mats I use – the answers are all there! P.S. : You can make the bark as thick as you want. If you want it thicker than you see below, you’ll want to double the amount of white chocolate, but you can still use the same amount of the rest of the ingredients. Prep a baking sheet with parchment paper and set aside. In a small microwave safe bowl, heat butter until barely melted. Add brown sugar and cinnamon, and stir to combine. Set aside. In a double boiler, melt white chocolate over low heat, stirring constantly until completely melted. 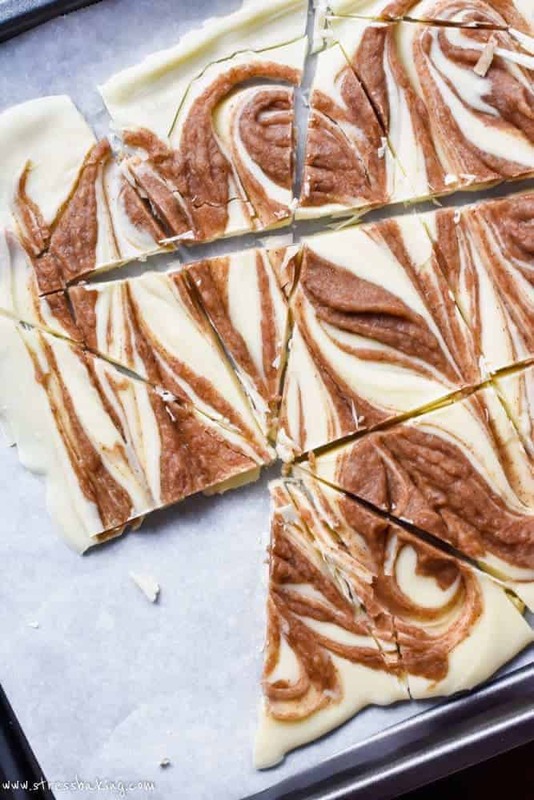 Pour white chocolate onto prepped baking sheet and spread into an even layer. Drop a tablespoon of sugar mixture into several different places across the top of the bark, then drag a knife across across the length of the pan through each spot of dropped sugar, back and forth to create the swirls you see in the pictures above. 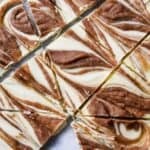 Alternatively, you can drizzle the sugar mixture in a few evenly spaces parallel lines that run the width of the pan and then drag a knife through them perpendicularly to create the same effect. Place the pan in the freezer for at least an hour to let it set, then cut it using a large knife or rocking pizza cutter to create individual pieces. 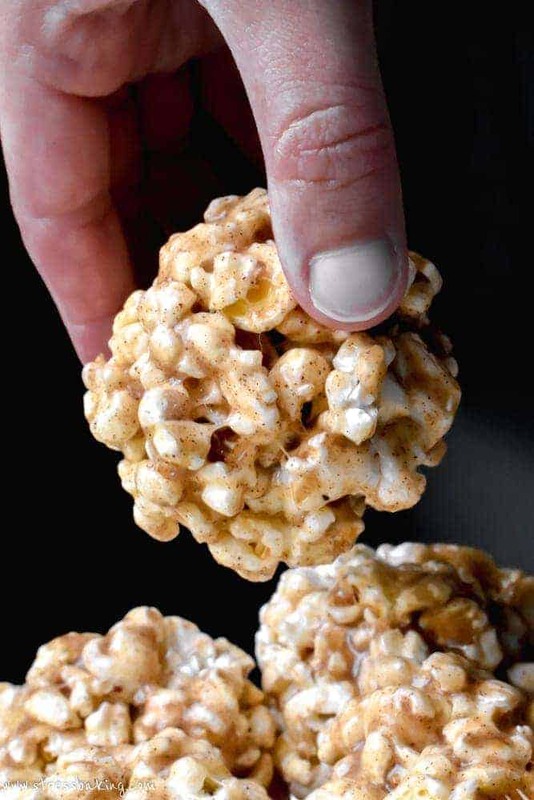 Keep stored in an airtight container until ready to eat – they will get slightly soft when left at room temperature. Enjoy! This looks absolutely amazing! And I’m loving all your other barks as well! These barks look and sound amazing! I can’t wait to grab a few for my breakfast with my hot cup of coffee! Wish I’m having these right now!! Thanks for sharing a great recipe! This looks so perfect for the fall! And easy to make too! Thank you for the wonderful recipe! My girls will adore it! 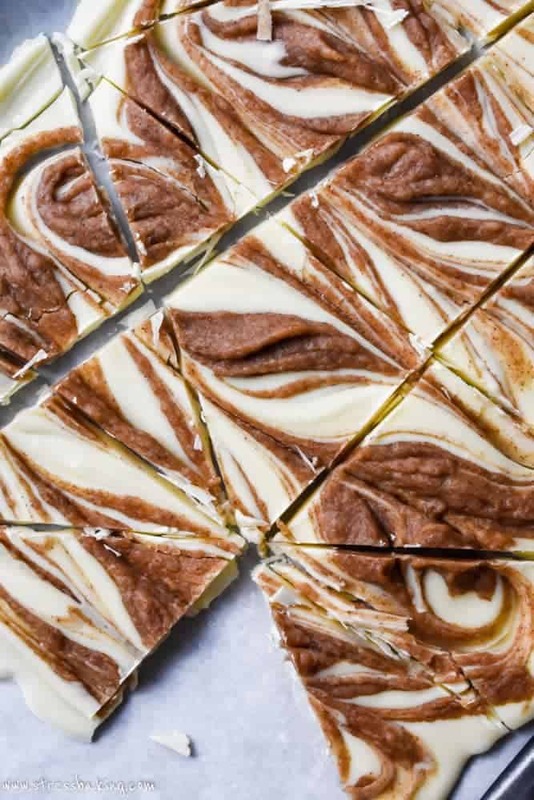 Never thought of mixing together white chocolate and cinnamon, what an interesting combo! Thanks for sharing, looks totally delicious! That’s so pretty! And sounds delicious – I always have enjoyed good white chocolate. I bet it makes a terrific gift, too! 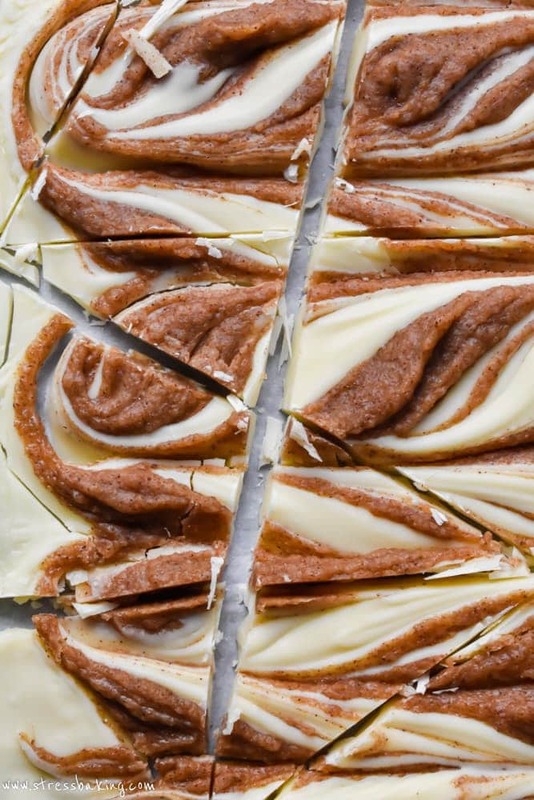 I LOVE anything with cinnamon in it, so this bark is right up my alley. I bet it would make a great Christmas gift too! These look so beautiful. Can’t wait to maKe this for my lil one. He will love these. I love this! What a great candy to enjoy from September through December! Works for all holidays! This such a fabulous idea!! 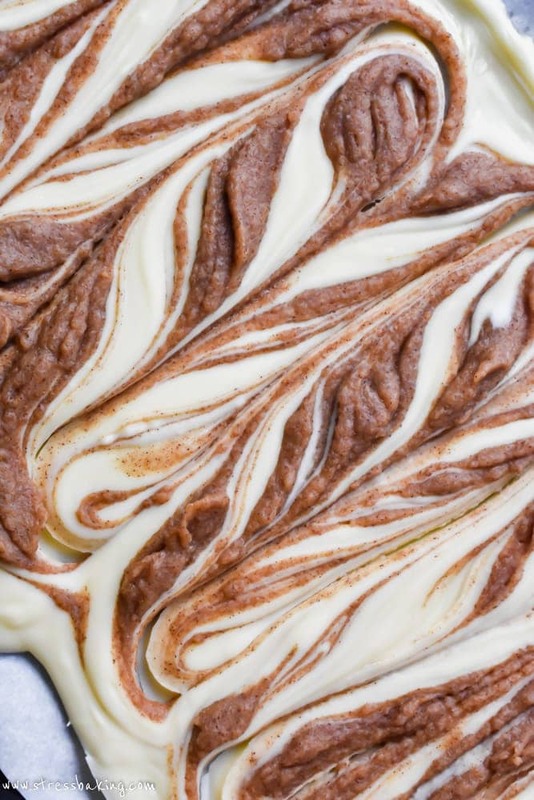 Those swirls are just gorgeous! Wow check out those swirls!! 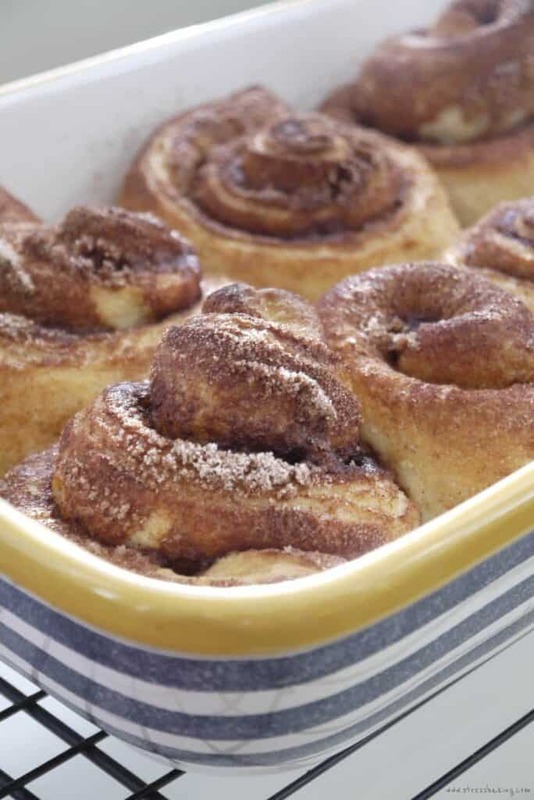 This looks amazing, and I am totally with you on the cinnamon sugar, I am obsessed right now! My kids will go head over heals over this. Brown sugar and chocolate. love the look and am sure it delicious. These look amazing and I love the swirls! Super easy and the best kind of sweet treat. Love the easy list of ingredients and what a perfect recipe to always have on hand. Yum!!! Those swirls are so gorgeous, so excited to try this! It would make the perfect holiday gift too!